The British Society of Underwater Photographers (BSoUP) theme portfolio competition. 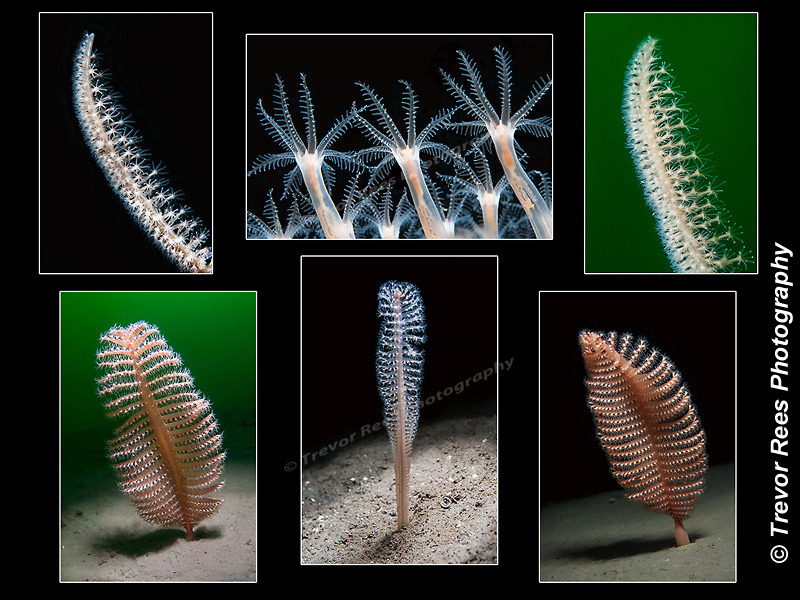 All three British varieties of sea pen are shown here. The tall sea pen (Funiculina quadrangularis), the phosphorescent sea pen (Pennatula phosphorea) and the slender sea pen (Vigularia mirabilis). All were photographed in Loch Linnhe in Scotland. These creatures are related to soft corals and in Britain are restricted to sheltered muddy areas. Scottish sea lochs are the best place to see them. Voted 3rd place in this year's theme portfolio competition. Nikon D90, Tokina 35 mm macro.